Blended with basil oil benefits your skin, making you known for your skin. Lavender has uplifting and soothing aroma and rejuvenates skin. Great for all skin types but particularly soothing to easily irritated or acne-prone skin. 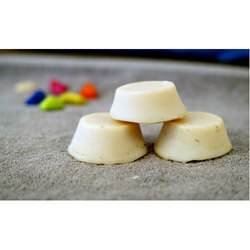 Wash trouble zone with a little helping hand from this calming all natural soap bar. world of Lavender and come out invigorated. We offer Lavender Soaps. Made of lavender essential oils, our offered range of Lavender Soaps impart a divine fragrance and heavenly atmosphere to its users. Owing to lavender sedative effect, it was traditionally inhaled as an aid to ease exhaustion, insomnia, irritability, and depression. 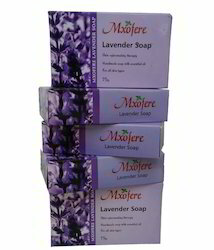 Being a most reliable organization, we are engaged in offering a wide range of Lavender Soap. Kiyara Lavender has a crisp and clean fragrance with sweet and floral overtones which promotes relaxation, good mood and a feeling of well-being. Kiyara Lavender Soap also has antibacterial and antiseptic properties and can be used as a healing aid for many types of skin infections.